There was no life changing moment at the birth of my first child. I fell in love instantly, but I had no idea of the enormity of what had just happened. I’d had the usual advice on how my life was about to change, but perhaps I’d chosen not to think about how I too would change in the process. Yes, my body had morphed into a state of motherhood, but my brain was still thinking about the amount of goldfish I had killed through lack of care. I was a fraud. I’d never bathed a baby or changed a nappy/diaper. At the ante natal class I’d asked what I should feed my newborn in those first few weeks, and was genuinely surprised to hear that solids weren’t introduced until four to six months. I had returned to Jakarta with my newborn in what I realize now was a state of anxiety. I was sure everything was about to go wrong. It wasn’t the usual new mother worries of breastfeeding and nappy rash – it was the bigger stuff that haunted me. Dengue fever, Tuberculosis, and Dysentery. We’d been given the statistics on just how many people had TB and why it was important to vaccinate at six weeks. I was convinced I would get it wrong. I would break her. She would be coughed on, bitten by a mosquito or bathed in unsanitary water and it would be the end. Everyone would realize what I already knew – I wasn’t fit for the job. As time went by and I became a little more confident with what I was doing, the fear kept its ferocity, but I became better at tucking it away. It had its own space, it pushed down on my heart as it lodged itself in under my ribcage. I’d feel its weight as I heard the stories of others. The child with leukemia. The child who was electrocuted by an exposed wire near the pool. The child who wandered onto the street and was killed crossing the road. I heard those stories and began to realize how much was out of my control. I held no power. I could sterilize, vaccinate and hover, but when it came down to it, it was pure luck. A couple of years ago I watched on while terrible things happened to people I loved. The loss of a child and the loss of a parent. An accident, an illness. The return of cancer. All situations were beyond heartbreaking, and completely bewildering. An unimaginable pain that all three families had to push through, the cliche was right there with a blistering reality, life had to go on. They were not my tears to cry, but I still lose moments in time when I think about how life is not how it should be. I guess because of this, G and I often acknowledge our luck so far. 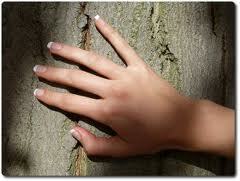 Pieces of wood are grasped while we recognize that we need to be continually grateful. The fear, the ugly darkness, lays dormant, knowing it will be activated in a time of panic or frenzy. Like yesterday. The second traveller was doing the bike leg of a triathlon with her friends. She’d watched her brother earlier and it was now her turn. I could see the competitiveness of her nature growing as she sat on the bench, helmet on, eyes glistening with excitement. Her swimmer was about to start, when she was finished the second traveller would then run to the bike stand and exit the school making her way around the block. While the swimmers huddled waiting for instructions the second little traveller and I continued to make eye contact, we giggled constantly giving each other the thumbs up. When the swimming began I made my way out towards her bike. It wasn’t much later that she ran past me and squealed “We’re in 5th!” before straddling the bike and pedaling off. I stood by the runners for awhile until I realized that G was out on the road, he’d gone to see her make her second lap. The first traveller and I decided to join him. As we walked towards him I could see he was looking down towards the corner. And then, in that moment, he jolted from a casual spectator to a panicked parent. The voices around me seemed to morph into a blur. Colours swirled in slow motion. I heard someone say something about a car. Did they say someone had been hit? G was running towards the corner, the first little traveller left my side and ran after him, the last thing I heard her say was “please don’t be Annie”. The feeling began to seep from the place between my ribs and heart, its heaviness was restricting my chest, its taste was now in my mouth. It was toxic, dark and ugly. I was running, but not fast enough, the weight had made its way from my chest to my legs. Was this our unimaginable moment? Had our luck ran out? Please don’t let it be Annie. The guilt was prickling my skin. As we made our way back towards the runners someone yelled to move out of the road, the cyclists were coming. And then we saw her, up the front, grinning with excitement. “Mum! Dad! I’m in first! I’m in first!” We smiled, trying desperately not to be too excited while returning an injured child to her parent. I knew my life would change. The surprise though, was the strength of the fear of loss. The pain that came with the what if. The fact that I could no longer watch a movie where a child was hurt, or read a news article of a child in pain. It was now all too real, too close, and too hard to gloss over. This was the surprise, that parents everywhere walked around with this fear. Not my child, please don’t let it be my child. The dark and ugly fear has now returned to its place, nestled in between my heart and my rib cage. It lays dormant and inactive, there are no miracle drugs, just luck. Touch wood she says. Touch wood.